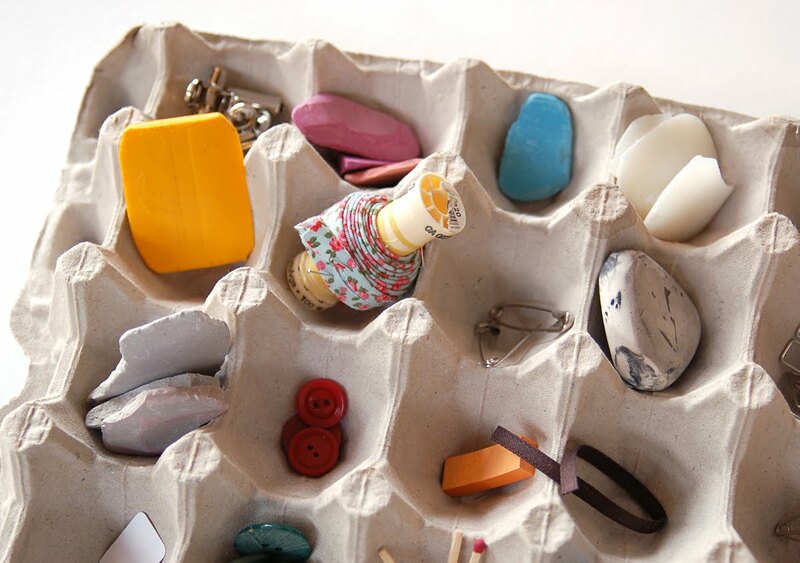 I found some empty egg cartons on the curb outside our neighborhood bakery a while ago and snagged them for Tsia. She's always rescuing things from our recycling at home, saying "I can make something from this," so I knew she'd like them. 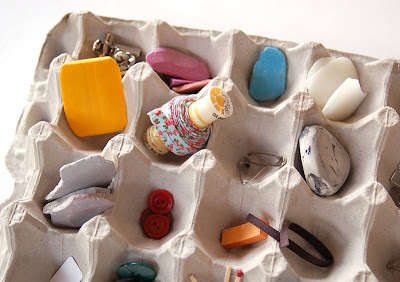 Turns out, they also make a great organizer for for all the little things that accumulate on the cutting table at the studio: tailor's chalk, erasers, buttons, paper clips, etc. I used to take these to work to put my small glass round bottomed flasks in, when I worked in a laboratory! 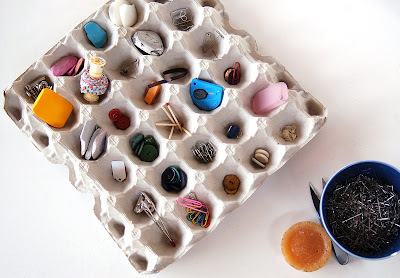 If you're paranoid about such things, you might keep in mind that used egg cartons carry a small risk of salmonella. "Cook" the egg cartons in the oven for a few minutes - salmonella problem solved! Wow! this is such a great idea! good for jewelry too!